Why Watch The State Of The Union If You’re Not Going To Talk About Entitlements? 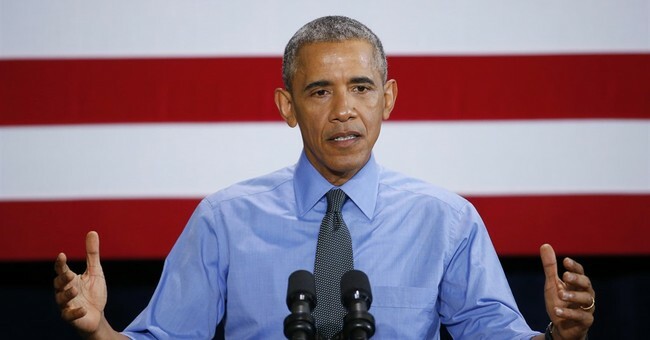 President Obama delivered his final State of the Union Address on January 13, which was, of course, a little sparse on the financial condition of the country. Given the massive unfunded liabilities that are inherent within the system, why do we even bother with these speeches if presidents, from both parties, refuse to discuss entitlement reform seriously? Shelia Weinberg, CEO and Founder of Truth In Accounting, a nonprofit dedicated to educating the public on out financial state spoke with Townhall on what she found disconcerting about the president’s address. Let me start with the economy, and a basic fact: The United States of America, right now, has the strongest, most durable economy in the world. We’re in the middle of the longest streak of private sector job creation in history. More than 14 million new jobs, the strongest two years of job growth since the ‘90s, an unemployment rate cut in half. Our auto industry just had its best year ever. That's just part of a manufacturing surge that's created nearly 900,000 new jobs in the past six years. And we’ve done all this while cutting our deficits by almost three-quarters. Right now, the markets are continuing to melt, so some Americans might find these remarks comical. Yet, to Ms. Weinberg, the lack of details and specifics regarding our overall fiscal health was alarming to her and her organization. There was no mention of the national debt, how much debt we’re in as a country. No breakdown of our personal share of that debt either. As with the job numbers, Weinberg noted that the president is no different from any other politician; cherry-picking the figures that bolsters his legacy and agenda. “We’ve seen job growth in the past four years, but we’re still not back to the job numbers we had before the Great Recession,” she said. Concerning the deficit, the president mentioned that it was reduced by almost three-quarters, but we’re still facing a shortfall that’s expected to be over $500 billion; a number Weinberg said isn’t something that she would tout as an accomplishment. In fact, it’s $105 billion more than last year, marking an increase in the deficit for the first time since 2009. As for finding ways to fix our entitlement system, or even taking the first steps to get us on the right path, it’s going to require an intervention of sorts–literally. Congress’ spending and refusal to deal with entitlements has hurt the American people in a multitude of ways, but Weinberg said that gaining traction with elected officials is incredibly difficult due to a lack of information. Leaving out the political ramifications for those who want to have Social Security means tested, increase the retirement age, and revamp how Medicare benefits are doled out, a large portion of House and Senate members, mostly Democrats, believe the system is solvent due to the amount of money in the trusts. Take the Social Security Trust Fund as an example. Truth in Accounting recently took Sen. Bernie Sanders to task for saying that the program is solvent because there’s a $2.8 trillion surplus in a trust. In actuality, that money has been spent on other services in the budget, and there’s still a $28 trillion unfunded liability. An annual report card Wednesday from the trustees of both programs showed that the long-term deficits associated with the two largest benefit programs would be slightly smaller than forecast last year. The report also offered the latest warning that the Social Security disability-insurance program will exhaust its reserves late next year, which would trigger a 19% cut in benefit payments. Treasury Secretary Jacob Lew said the shortfall should be addressed by Congress by reallocating the share of payroll taxes that fund the disability-insurance trust fund and the much larger retirement-benefit reserves. The reallocation would leave both funds depleted by 2034, one year later than estimated in last year’s report. “It is vital that Congress move forward to maintain the integrity of this critical program sooner rather than later,” said Mr. Lew. Congressional aides expect the disability insurance tweaks in the budget will save $5 billion over 10 years, which is peanuts compared to the program's $141 billion annual cost. Regarding the total unfunded liabilities for our entitlement system, that number hovers around at least $82 trillion. But the public doesn’t know this, hence the lack of incentive. Weinberg added that unless the public knows how truly bad the problem is–and garner the support for needed reforms–nothing is going to move regarding fixing entitlements in a meaningful way. Some truth serum needs to be injected into the public discourse, along with a sense of impending doom if we don’t start doing something serious in the near future.